Check out this GoPro preview of the women's side of the track with Brooke Crain and Felicia Stancil! Shot 100% on the HD HERO3® camera from http://gopro.com/. "Catch the action from stop 4 of the UCI BMX Supercross World Cup Series in Argentina. Caroline Buchanan claimed silver in the time trial qualification behind Mariana Pajon but in the final had a late gate start and ended up 7th. Check out the smiles on the children's faces when Caroline visited a local children's hospital with crayons, coloring books and a bike she donated from DK Bicycles. As well as giving some kids the opportunity to come watch the World Cup BMX action in person." You guys are going to be seeing a lot of old (but probably new to you) updates from back in the day, as we clean up some old posts and give them new life. Sam's got the kind of style that is still untouched by today's standards in women's BMX, that's right Sam... you have style! Manuals, foot plants and abubacas. Check out this edit of our now veteran rider Samantha Lyons, she kills it. Samantha Lyons Web Vid from Tony Archibeque JR on Vimeo. GoPro from Sarah Walkers runs in Santiago de Estero, Argentina. Kiera recently got her RMT certificate, she's shown here giving a massage to one of the riders. 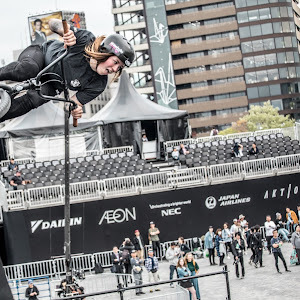 Our girl Kiera Bonifacio was on the job this weekend, working at the Toronto Dew Tour AM Series! She was awesome enough to take some photos for us and give us an idea of what the event was like. Kiera said the event was quick and fun, lots of variety between park and street, with lots of young fellas looking like they are getting very good. Congratulations goes to Keira's boyfriend Steve Moxley who went home with first place! Unfortunately there were no ladies at the competition (by the decision of the tour), but we will get into that at a later time. Enjoy the photos, and thanks again Kiera for covering the event for us! Hey ladies! 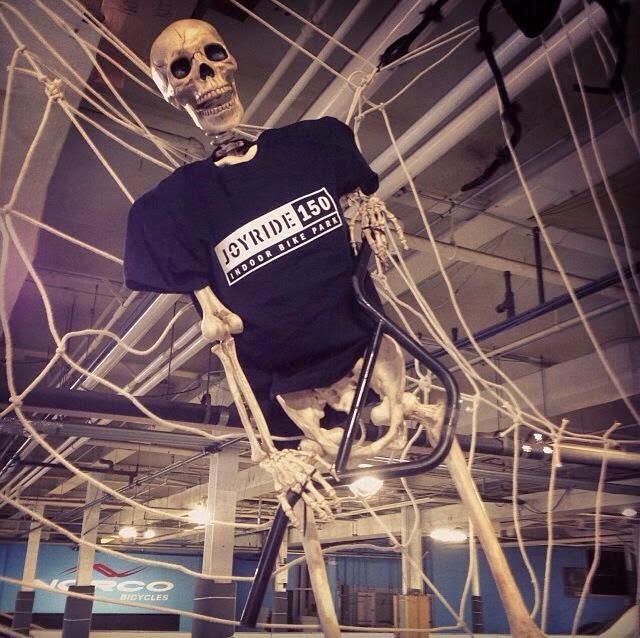 As you know, Joyride 150 has a Halloween Jam every year, and this year it's taking place on November 1st! Better yet, there's going to be a girls class this year! 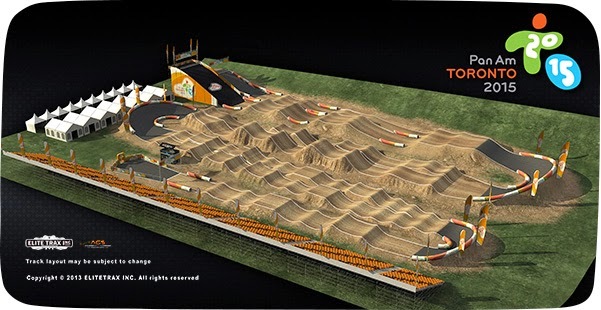 In an effort to attract all styles of riding, there will be three different disciplines: park, street and jump line. Come on out, every level of riding is encouraged, lets make this the best girls class ever! 5 Clips with Abbie Marshall from Transgression on Vimeo. 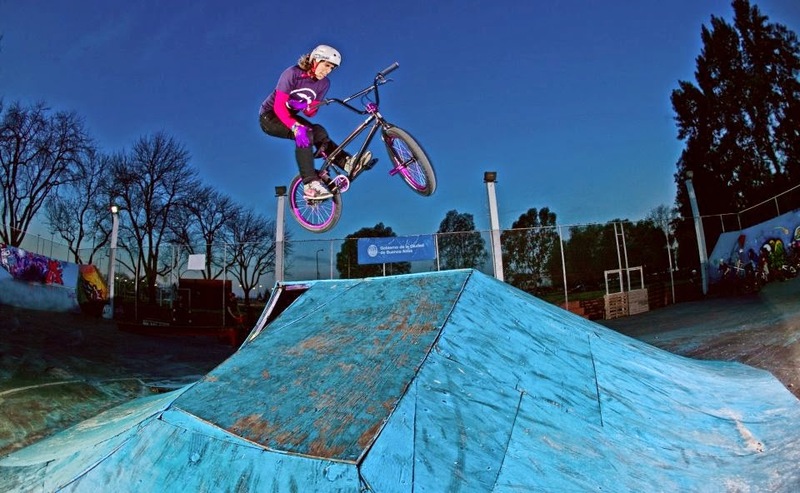 Check out this edit of Abbie Marshall riding Transgression Park in Edinburgh, Scotland, UK. Great job for a 15 year hold! 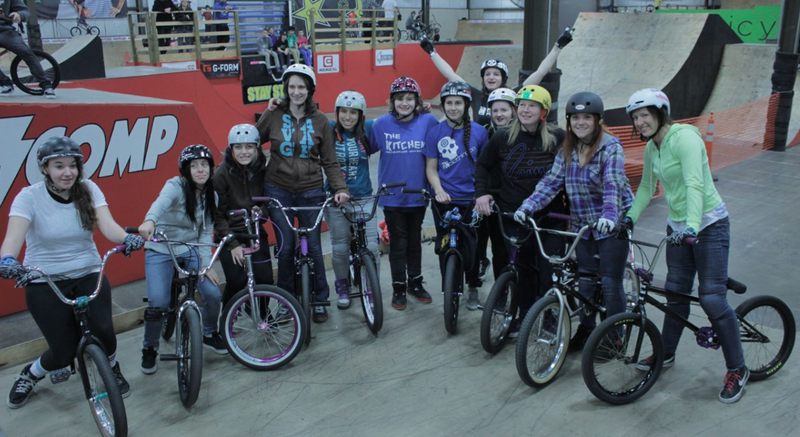 SuperFly 4 BMX Girls had their second annual event earlier this month, which brought together girls from three countries in Latin America (Brazil, Chile and Argentina). Check out the footage above, you might see some familiar faces. What a great weekend! This summer has seen a lot of highs and lows, all worth it just for this moment. I finally got my provincial plate, which involved a lot of sweat and tears but it was all worth it. I will never forget the journey, and I look forward to going through it again next summer. This just proves, that sometimes it's OK to take risks (like quitting a 4 year corporate job) and chase new dreams in pursuit of your own happiness. After much debate and planning, it looks like the construction of the Pan Am Games BMX track is underway. The organization has been receiving a lot of criticism over the spending abuse of many projects including this track, which was originally projected to cost 1.5 million, now at least 4.4 million. There's been a lot of talk as to where this track should go, many residence not thrilled with the current location, including arguments from Toronto city major Rob Ford, stating that elderly people would never ride BMX bikes, circling back to say that if it rains, you can't use it. Fortunately, Major Ford was unsuccessful in moving the facility out of Centennial Park. The track is designed to meet the International Cycling Union (UCI) certification standards, meaning we should hopefully see Etobicoke as a destination for future UCI Supercross events. Of course, being biased that I am, I would have preferred to see the track closer to my city, but with Etobicoke only being 40 minutes away, I can't really complain. 4.4 million does seem very high for a race track, but when you consider that this is going to be a world class facility, you can't really put a price on something like that - let's just hope it lives up to its price tag. "Located in Etobicoke, the 3.2-hectare Centennial Park Pan Am BMX Centre will be home to BMX cycling competitions at the TORONTO 2015 Pan Am Games. This regional park was opened to celebrate Canada’s 100th birthday and since 1967 has been a setting for many recreational activities. 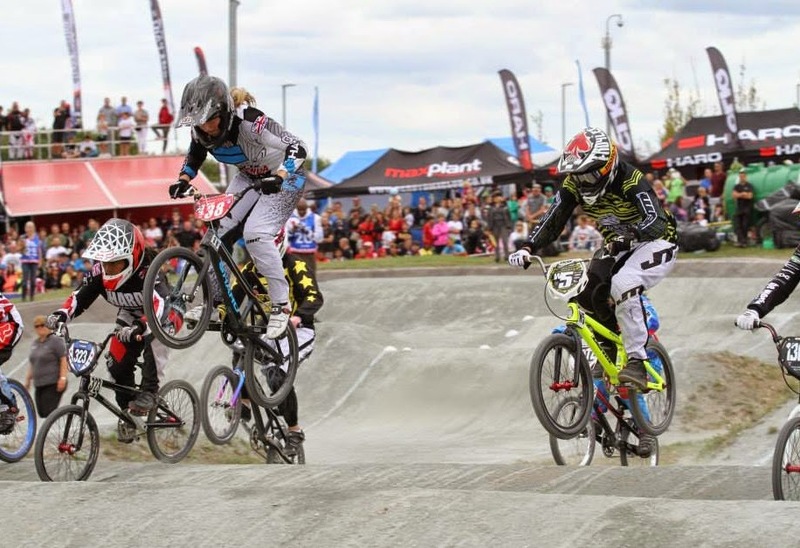 A new addition to the park, the BMX Centre will see riders launch from a permanent eight-metre start ramp onto a track that is being designed and constructed to meet Union Cycliste Internationale (UCI) certification standards. The Centennial Park Pan Am BMX Centre, jointly funded by the Government of Canada and the City of Toronto, will be a compact closed-looped design consisting of four straightaways and three banked turns filled with challenging jumps that will test the 25 male and 18 female riders competing in 2015. Spectator excitement will run high as BMX riders use their athleticism and skill to cut in and jump through the air as they race around this 350-metre track. Following the Games, the public will have access to this new facility. A permanent five-metre start ramp will be constructed beside the eight-metre start ramp to serve younger and inexperienced riders. " Not sure how I didn't come across this until now, but if you have, why didn't you tell us? 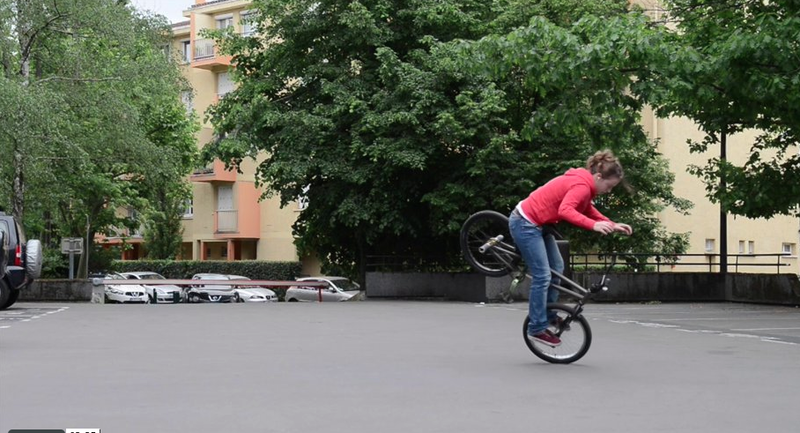 Check out this flatland edit by Aude Cassagne. Looking great for someone who had to take a 2 and a half year break for school! Aude Cassagne- Flatland Bmx - Mai 2014 from Maxime Cassagne on Vimeo. 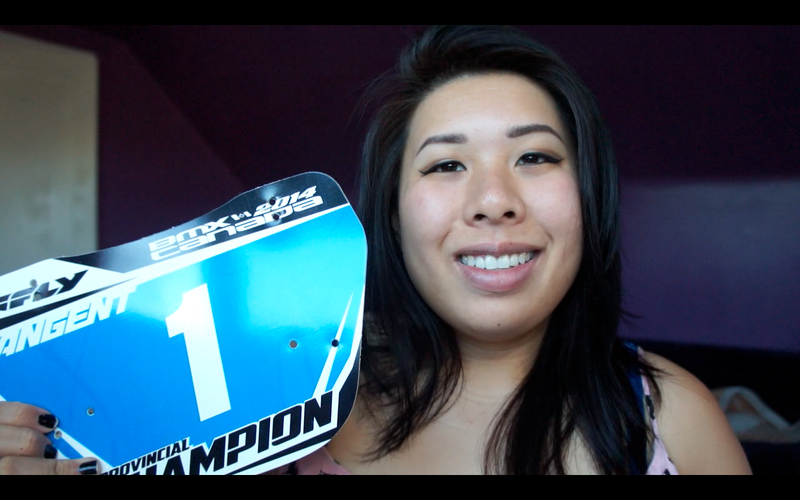 Check out our girl Miyuki Dezaki representing at Real City Spin flat contest in Montreal, Quebec, Canada last weekend. She is such an inspiring rider, qualifying for finals in the expert class and placing seventh amongst the guys! Real City Spin is put on by professional flatland rider and one of Canada's best Jean-William and apart of the AM flatland circuit. Thanks to Lachlan Cameron for providing this video. He's another Canadian professional rider always producing clean videos from local flatland events. Our family couldn't make it for medical/family reasons, but as this season of contest comes to an end we are looking forward to next year! Keep your eyes peeled for our progression contest (FlatlandForward) rounding about to an end this October. Over 40 female riders world wide have been pushing their flatland skills for a chance to get their hands on some nice flatland prize packs! Miyuki is comepeting in the Expert females class in this contest. As a rider starting out, or even one that's been at it for a while, we all have questions still! 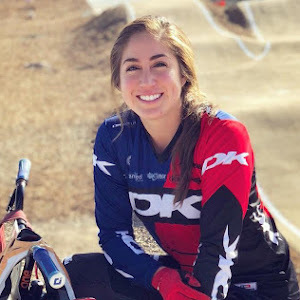 As part of the "Ask A Pro Series" we're going to answer your questions using our connections with the best of the best female riders out there. If you want your question featured for next month, head over to our contact page and ask away! To answer, we got 2013 Simple Session winner Camila Harambour to answer this question. Airing is actually something quite natural when you feel comfortable enough on your bike, that's why its hard to explain, but I'll do my best!! Usually the first thing you do on a quarter to turn around is a 180. You head to the quarter and jump and do a 180 to come back. The thing is, that for airing you don't really have to do that. What you first need to do is feel the ramp and actually use it. You don't need to air over the coping to try this.. what u need to do is go and carve a bit more and when you feel you got to the highest point you wanna do kind of a little bonny hop that will help you keep going like if you where still carving in the ramp. its really hard to explain with words.. but keep in mind that the smoothest is feels the better it will be. Watch some of the guys do it and compare it to the "180" in the quarter and you will realize that one does a smooth turn that follows the curve of the quarter and the other one is a lot sharper and kind of cuts the flow. Once you manage to do that, keep doing it, keep feeling more and more comfortable on it and once you start going faster you won't realize that you are actually airing :) Just remember you have to USE the ramp and follow the transition. You can even try it in a small and mellow ramp, the point is feeling the ramp. Airing is actually easier on a steeper one cause you pretty much don't have to do anything at all, but that's only when you are already used to feel different transitions :). Also remember that the hop is more in you legs rather than in the arms! A good thing to do that will help you A LOT is learning how to pump.. use pretty much only your legs (like how skaters do) and try to get speed from a ramp without pedaling a lot. Simple Session 2013: Sister Session Highlights from Ride BMX Magazine on Vimeo. "Sneak peak prototype of what's to come! 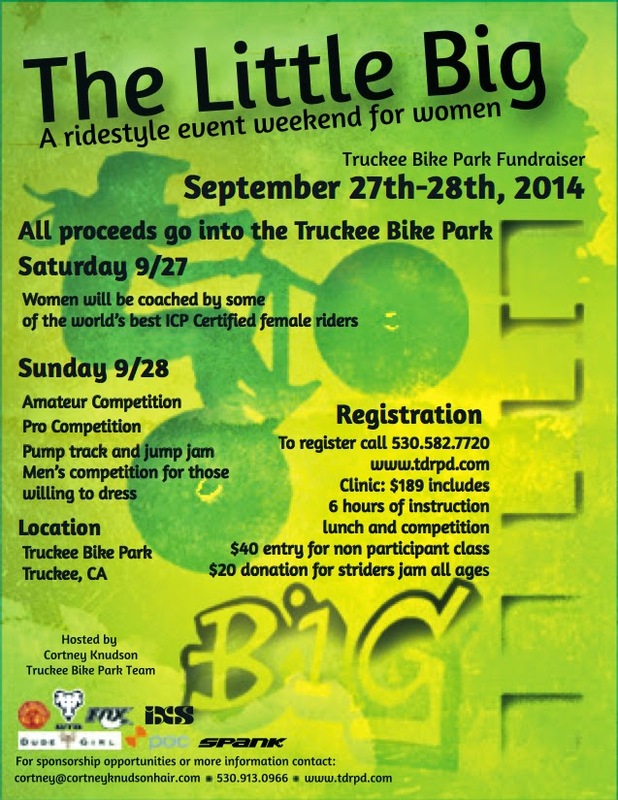 Caroline Buchanan Signature DK Bicycles Balance Bike"
The Little Big, a "Ridestyle event weekend for women" is coming up, and it's not an event to miss! Nestled in the woods of beautiful Truckee, California, lies the ever improving "Truckee Bike Park" which includes features for all ages and levels of riders. On September 27th and 28th, the pro ladies of MTB will descend upon the park to coach new riders in a clinic, and host a competition the next day. This event is for riders of all levels, from beginner, to pro! All proceeds go into the building of the bike park. (Read the flyer below for more exact details on what will be happening). I happened to stumble upon this event flyer last year, and made my way to Truckee for the contest. I had barely ridden dirt jumps, and never met anyone from the ladies MTB community. Nervous and shy, I slowly inched my way up to the top of the track, and was immediately welcomed by a crew of amazing ladies, who I am so glad to now know. Some of the coaches included Kat Sweet, Cortney Knudson, Stephanie Nychka, Lisa Tharp, and Linsey Voreis. Coming from the BMX side of things, I'd never been around more than one girl rider at a time, so this was such a cool experience having so many throughout the weekend. The clinics are great, lots of laughs, meeting new people, and learning new things, and the competition is just as fun, and very relaxed (for those of you worried about your first contest). Overall, it's really just a fun, all girls weekend, that you definitely don't want to miss! 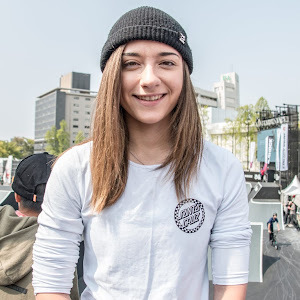 I'm really excited to be attending again this year, and I hope that we can get more BMX girls out there too! If you can hit a dirt jump, or want to learn how to do so, come on out! This isn't a new video, but I thought it would be good to share for anyone who's needing some inspiration or encouragement. Stay hungry. REDLINE ROAD TO LONDON: featuring Alise Post from Redline Bicycles on Vimeo. 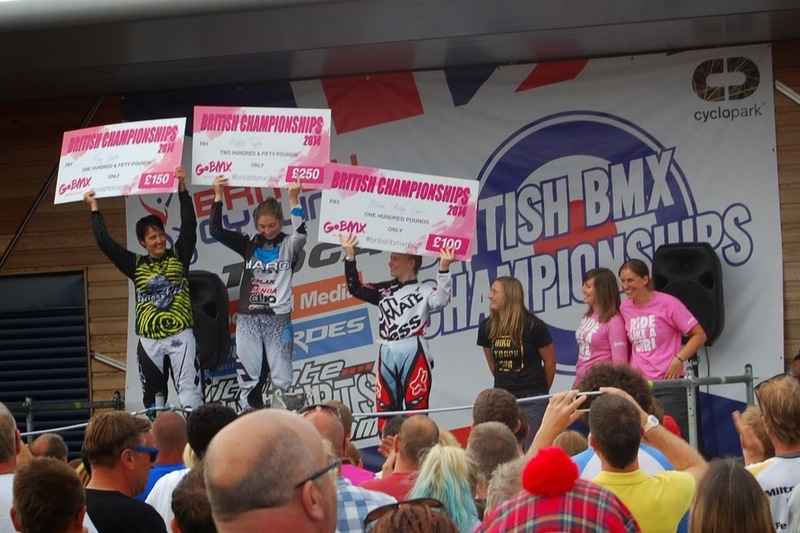 The Ride Like a Girl campaign in British BMX came to a close as the title for British Champion took place at championships at Cyclopark in Kent over 23rd-24th August. Through the sales of the pink 'Ride Like a Girl' tshirt an additional £500 was on the line for the top 3 female riders, with the champion taking away an additional £250 on top of the £100 British Cycling prize money, the biggest payout seen in years for the female class. With limited numbers in Elite men it was left to the ladies for the largest number of riders in any money class of the day with the top 24 female riders from across the country to battle it out for the coveted 01 British Champion Plate. The racing throughout the day was action packed with Haro UK's factory rider Abbie Taylor taking early advantage through the moto's. A tight first straight in her 2nd moto with GB academy and factory Identiti bikes rider Charlotte Green, left Green jumping into the corner off balance and resulting in hitting the deck. A hard crash left her battered and bruised and unable to carry on. GB talent team rider Blaine Ridge-Davis and veteran of the UK race scene Joey Gough were left to take the race to Taylor. The semi finals were full off action and open for anyone to take the top 4 positions. Gough taking the win in the first semi along with Davis. Fellow GB academy rider Emily Green took the important 4th position with GT factory rider Chloe Taylor the unlucky rider in 5th. The second semi saw Abbie Taylor taking a demanding and comfortable lead from start to finish ahead of GB's top Junior rider Valerie Zebrokova in 2nd with Derby Ssquared and GoBMX rider Ellie Dewdney in the unlucky 5th, just behind former W1 Ria Goodman. The stage had been set and the final didn't disappoint. The tension was high as the biggest payout was on the line, however it was the title they all wanted. Taylor got the holeshot jumping the triple ahead of Gough in second and that's the way it would stay. A battle for 3rd saw GB youngsters Ridge-Davis and Valerie Zebrokova for the final place on the podium. Taylor crossed the line ecstatic with her first British Title for a number of years with Identiti's Joey Gough in second. Davis got the better of the youngsters taking 3rd. Gough also commented, "The campaign has been a real success and we're proud of what we have achieved. Hopefully this is just the beginning of a long term change. 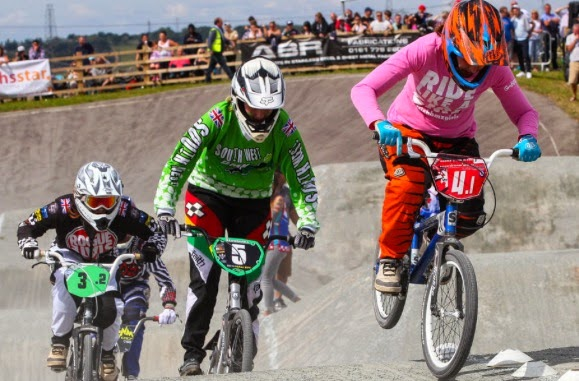 We want there to be better opportunities in UK BMX for future generations of female riders to make a career. Being an older rider, I want to do my bit to make sure that happens. I'm very hopeful for the future and want to thank everyone who has back this years campaign"
The presentation saw the top 3 riders take to the podium for the official presentation, however the largest cheer of the day went to presentation of the GoBMX cheques to the riders along with a bottle of champagne. GoBMX's and co-organisers of the campaign Ellie Dewdney and Lauren Smith remarked, it was fantastic the atmosphere on the podium. The cheer was incredible when the cheques were presented and the champagne just topped it off making all the effort worth while. We would like to thank everyone who got behind the campaign, particularly the commentators and DJ Superfly at the races helping us promote our campaign and female riding in general. We don't want to sit there and protest regarding the split in prize money, we want to showcase our class and hope to bring more riders into the sport and therefore opportunities. The men still got a larger payout on the day with the winner taking home £400, but we're doing our bit slowly and surely. People keep asking what we are doing next, we are unsure at the moment but this is only the start of the rise of the BMX girls in the UK! Totally wishing I had the money to go to this, I could have been riding with a group of badass ladies. I guess I'll have to live it through today's Tuesday Throwback edit of the Kitchen's First Annual Girls Class. Check it out if you haven't already, and do it anyways even if you have. Kitchen's First Annual Girls Class 2014 from brooke betancourt on Vimeo. Have you always wanted to know the ins and out of what goes on behind the scenes at a BMX World Championships? Caroline Buchanan brings you a look at the Australian High Performance Team pit area, staff, support, nutrition, recovery and protocols.